When we take our driving test, we are making an agreement to abide by the rules of the road and take steps to ensure that we keep safe, and do not endanger anyone else. Of course, accidents do happen that are not anyone’s fault as such, but in the main, they are due to the negligent or dangerous actions of another person. This is why car accident claims are some of the most common Advice.co.uk see, as a claims management company that can help victims of such incidents. Whether you’re reading this page because you’ve had an accident and become injured or because a loved one or friend has been, then calling our advice line on 0161 696 9685 could be the best decision you make today. However, you may want to have a look in more depth into car accident claims before you call us. You can do so by clicking on the sections below to easily navigate to the information you’re seeking. 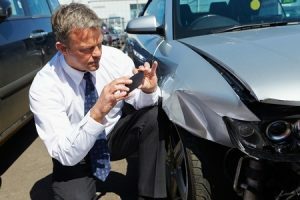 What Is Involved With Making A Car Accident Claim? Who Will Pay My Car Crash Compensation? What Happens If My Accident Was Caused By A Poorly Maintained Road? Can I Claim Compensation On Behalf Of A Passenger? Car accidents in the UK happen often, as do car accident claims. The numbers, quite frankly, are alarming. According to national statistics, provided by the UK government, there were 1793 deaths on British roads in 2017, and 24,831 people seriously injured in the same year. Add to that the 144,369 ‘slightly injured’ casualties (which includes cases of whiplash and shock, as well as cuts and bruises) and it is no wonder there are a lot of people looking into making car accident claims, which is why we have produced this guide. It is imperative that readers understand that it is not only people within a vehicle that can look into making car accident claims. Whilst those injured in a car obviously make up a large proportion of claimants we hear from, there are also motorcyclists, pedestrians and cyclists that are injured on UK roads too. There are also a huge number of different types of accidents, from accidents on public roads and private roads, at junctions, on motorways and more. And, you can imagine, a multitude of different injuries that can be sustained as a result. This is why making a personal injury claim is complex, and why you need a personal injury solicitor to help you through the maze of legal complexities. Here, we explain how no win no fee car accident claims work, how do you settle a car accident claim, how do insurance companies calculate pain and suffering and more. When it comes to making car accident claims, one of the first things people look for is a personal injury claims calculator to help them work out how much they would be eligible for. However, this can give false expectations, and as a claims management company that cares about our clients, we feel it is important to clarify that there are a lot of things to consider when asking questions like how much money do you get for a whiplash claim, or how much should I ask for pain and suffering from a car accident? Some cases are obviously more serious than others, but things that also need to be taken into account are the effects on a person’s life. For example, a small scar might not have much of an effect on a person who does an office job, but if they work in an industry where this would cost them work, such as modelling, then it might have a real impact. What we can provide you with is an illustration of what is conserved an average bracket for certain types of injury. To gain more perspective on these figures, please do not hesitate to call our car accident claim experts for guidance. What Damages And Compensation Can I Claim For After An Accident? These concern the injury you’ve suffered and the pain/suffering you’ve had to endure because of it. You will usually be assessed by a medical professional who will report on the nature of your injuries, how severe they are, the impact that this is likely to have on you and the level of pain it is thought you would have experienced. As we mentioned, this covers costs you will have to prove you’ve incurred. These costs have to have arisen due to the injuries caused by your accident. The different costs you might have had to pay are listed below. Costs such as prescriptions, medical aids such as a wheelchair, physiotherapy etc. Getting yourself to appointments to do with your accident can cost. Whether it’s petrol, bus fare, taxi rides or train fare, if you can provide evidence then this should be included. Whether you have had to have someone come in to help you out with daily tasks that you can’t do while you recover, or you’ve had to have someone mind your children while you recover, then there can be an element of care claim. If it is someone caring for you, then they will likely need to apply for these costs. Time off sick is not always paid, and if it is, not always at the rate you’re used to. If your wages are down as a direct result, then this should form part of any car accident claims. Future potential losses of this type can also be calculated as part of your claim. Call a claims management service such as Advice.co.uk – we will be able to help ascertain whether or not your claim is likely to results in car accident claim payouts or not. We will put you in touch with a personal injury solicitor experienced in car accident claims who can advise you on how you can proceed, the service they will offer you, and the no win no fee service and how it works. If you are then happy to move forward with making your claim, then they will start to move on your behalf. The solicitor will take care of arrangement of medical assessment for you, and will make contact with the person/s at fault for the accident to advise them on the action you’re taking. The solicitor will then remain your primary contact for your claim, keeping you up to date with your road traffic accident claims developments and advising you on what offer/s you receive as far as compensation is concerned. If significant amount of working time has been lost as you have been to ill/injured to attend work. Compensation in serious injury cases will take all of this into account. Issues such as loss of future earnings due to you not being able to return to the same job, or progress as was expected in your job, any adaptations that you need in your home to help you cope with your injuries, any loss on the enjoyment of things you did before the accident that you cannot do now, care costs as mentioned before will all be considered and your personal injury solicitor will do their upmost to fight for the highest level of compensation for each issue you face directly as a result of the accident. Once it has been established who was at fault for the accident, it is likely that the claim will be settled from the responsible party’s motor insurance. However, there can be exceptions to this. One exception is where the condition of the road and its disrepair caused your accident. In this case, you might have a claim against the Highways Agency or Local Authority, if they were aware of the issue and did not ensure it was as safe as they are required to do so. Another exception would be a motor vehicle manufacturing fault, if it were known about but not fixed before you were allowed to drive the car. If you are in any of the situations above, please do not hesitate to call us for specific advice. Sadly, although many vehicles owners live by the letter of the law when it comes to vehicle tax and insurance, some do not. If you were to have been injured by a driver who did not have valid insurance, then you might be assuming there is no point in attempting to make car accident claims. However, this is not the case. An uninsured driver claim is covered by the Motor Insurance Bureau, a setup that was created from insurers and government, not just to help lower the numbers of uninsured drivers on the road, but to compensate those who are unfortunate enough to be affected by these criminals. The compensation pot that pays for these types of claims comes from the premiums paid by those that DO insure their vehicles. We touched upon this a little earlier in the guide. It is not only motorists that cause road traffic accidents, and some car accident claims. Sometimes claims can be put forward on those responsible for the condition of the road that caused the accident. If an important sign was obscured, there was an unclear road layout, or a pothole was not taken care of, or the road had poor drainage and became dangerously slippy as a result, there could be a way for you to claim compensation for injuries you received as a result. Every road in the UK has someone responsible for it, whether a private landowner, Local Authority, or the Highways Agency, and if the road was not safe, then you should certainly speak to a claims management company such as ourselves, as we’ll be able to tell you if you’d be able to claim and who you’d be able to claim against. Sadly, not everyone is able to make a claim for themselves. Although it is usually the case that an adult is the injured party, if a child has been injured in the same accident, then the responsible parent/guardian may claim on their behalf. The way in which this works is by the parent acting as what is called a ‘litigation friend’. If you’re not sure whether you want to do this, then it may be of interest to know that the child can make the decision for themselves as to whether they make a claim and they have 3 years from the date they turn 18 to do so. However, it is important to remember that the earlier after an accident it is, the easier it is for evidence to be gathered and this may have an impact on the claim. There has to be a limit on how long people have to make car accident claims, just as there is with any other accident claim. Here, we show what the UK time limits are. We hope this helps make things clear. Criminal Injury Claims Usually 3 years from incident but some exceptions. It is important that you get the right advice at the right time, so it would be best for you to contact someone with experience in the industry, who could ascertain the facts of what’s happened to you quickly and easily, and then can provide advice specific to your situation. If you call our claims management service, you’ll get all the help and advice you need, and we can quickly and easily put you in touch with a solicitor that can take your case forward. What is likely to happen when you call us is we’ll ask you some questions on what’s happened, listen to you carefully and then put you onto a solicitor that will be able to talk you through how they can help and the service they’ll then provide to you. They will advise you on all aspects of the no win no fee service they offer, as well as advising whether or not you should need to take out any kind of insurance to cover any unexpected costs. Then, once you’ve signed a no win no fee agreement, they’ll take your case on, as your solicitor, and will take the necessary steps to gather evidence (which may mean you’ll have to attend a medical appointment) and contact the relevant parties to advise them of the action you want them to take on their behalf. Once the claims process is in motion, then you’ll be kept updated on your claim, and in most cases will not have to go to court, as most claims of this type are settled before a claim makes it to court. Solicitors train for a long time before they are allowed to practice, and do so in order to ensure they fully understand the law. Whilst they can be expensive to use, the service they offer reflects the knowledge and expertise they have. However, in the field of personal injury claims, you need not necessarily be concerned with high hourly fees, as you can make claims on a conditional fee agreement, or no win no fee, which means that the legal fees will only be payable by you as percentage of your settlement amount. When you sign one of these agreements with your solicitor, it will set out the percentage of your compensation that will be used to pay the legal fees. This is subject to a cap of 25% of your compensation, but fees between solicitors can vary. What if I don’t end up being compensated? It is unlikely for a solicitor to take on cases on this basis that don’t end up winning compensation but in the event that this does happen, there will be no large legal bill landing on your doormat. The solicitor knows the risks is theirs in these claims and if you don’t get compensation, then there is nothing for you to then pay out. Our staff – We invest in our employees, in terms of training and handpicking high quality candidates for every position. We pride ourselves on only taking on the people we would like to deal with if we were in your situation and needed to speak to someone about something traumatic that had happened to you, like a car accident. We then develop their skills still further, ensuring that they have all the knowledge needed to deal with every call. Our service – Through experience, we have developed a service that we commit to continuously improving. We are always looking for better ways to service our clients and our commitment to consistently providing a top class level of service means that our customers consistently recommend us to others. Our feedback – We ask for feedback from customers simply because we like to know what we can improve on, but we’ve also found it can reassure prospective clients that our service is exactly what we say it is – top class. Get in touch with the Advice.co.uk We will ask relevant questions to assess your situation Should you have a claim, and be ready to take it forward, we will start the ball rolling for you. As personal injury specialists, we know only too well that you want a service that is swift, stress free and seamless. We pride ourselves on offering just that, and all you’ll have to do to begin is call 0161 696 9685. Alternatively, why not complete the contact form on our site and our specialists will get back to you. We can cover claims all over the UK, and even if your claim has happened on holiday or on business abroad, we are in the perfect position to help you. There’s never a bad time to get in touch, so why not call us for more advice, or so we can help begin your claim. Want to know more about car accident statistics? – The Government’s 2017 figures and statistics can be found here.